Now let’s be honest about this, jukebox musicals – and this is certainly one of them, exist to varying degrees of success. There are those created with wit and intelligence: Jersey Boys to name one; those which despite a fantastically successful catalogue of songs and an interesting back story are just plain awful – Monkee Business to name another; those which are more tribute act than stage musical and then there are those which don’t fit into any of these categories. Soul Sister is a hybrid, never becoming a fully-fledged “musical” and never descending into full-blown tribute act. 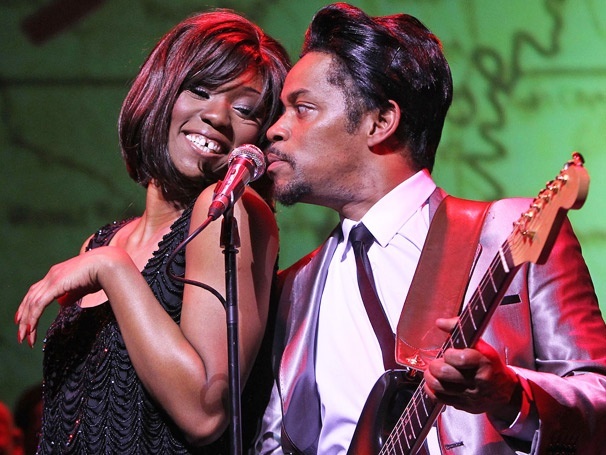 The weak book, which incidentally is neither mentioned nor credited, does no justice to the real-life drama of the lives of its subjects: Ike and Tina Turner. Tina’s abuse both physical and mental at the hands of her Svengali-like husband and Ike’s tragic upbringing which set him on a path to destruction from the age of five are only really hinted at here. Although it must be credited that, unlike the hatchet job performed on Ike in the 1993 bio-pic What’s Love Got to do With It? An attempt is made to give at least some explanation of why Ike became the man he did. Despite the dramatic and well documented source material the audience is left to inject its own drama, knowing as we do the rocky road the pair traversed on their path to fame and fortune. That said, it really is the music that’s the star, from the gospel and blues beginnings, the soul years through rock and roll, to Tina’s reinvention as an 80’s pop star – the music just shines through. The on-stage band is utterly faultless, each to a man playing to perfection, The Ikettes, a gyrating blizzard of sequins and sparkle are the perfect foil for “Tina” and Chris Tummings as Ike manages to inject what drama he can with the material he has been given, to present an Ike who despite carrying out acts of unspeakable cruelty and violence still manages to retain the audience’s sympathy. 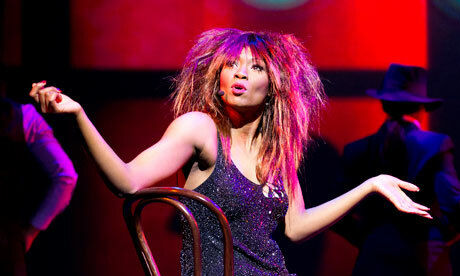 But the star is undoubtedly Emi Wokoma as Tina. Mere words cannot do justice to the absolutely flawless performance she turns in. This is high octane from start to finish – she is on stage for virtually the whole of the two and a half hour show, never once does her effort or energy flag. Wokoma is committed to every line, every move and every note and it’s the sheer force of her talent that has nearly two thousand people to a man and woman, in this packed theatre on their feet, shouting the words to What’s Love Got to do With It, Addicted to Love and The Best (amongst others) for the last 20 minutes of the performance. Wokoma is an absolute star and for that alone I urge you to get a ticket and see her before she goes on to bigger things. 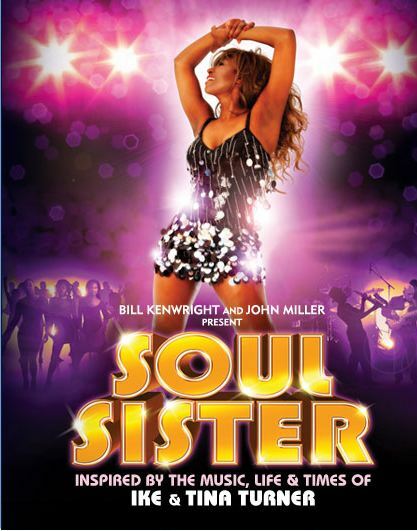 Soul Sister runs at The King’s Theatre Glasgow until Saturday 19th January.